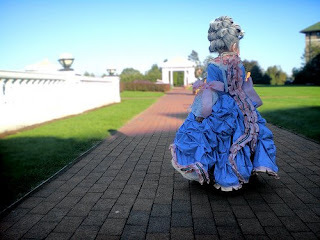 Lavender's Garden: Marie-Therese Gown GIVEAWAY !!!!!!! Wow how Magnificent! 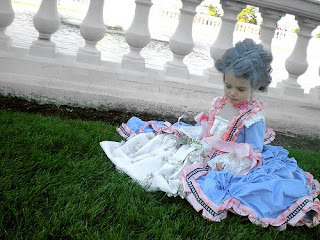 And what an Extremely gifted and Talented artist to have put all that time and hard work into a costume for her child! I am totally blown away by all the little details and detailing that was done by hand. I would never have the patience to take on such a task. Some people are just born with talent, and it really shows here in this piece. And what a Lovely and Precious little model to boot!